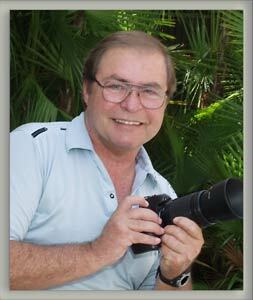 George Becker has been a full time photographer for the past 27 years. He relocated in Brevard County in 1983, from Miami, FL. A graduate of Miami Dade Community College and The Art Institute of Fort Lauderdale, he has extensive experience in the advertising illustrative fields of photography. His clients include AT&T, J.C.Penney, Harris Corp., Dupont, Hilton Hotels, and Bombardier to name a few. George currently resides in Palm Bay, Florida and is an active member of the Melbourne-Palm Bay area Chamber of Commerce and Rotary International.